Temperatures have been rather unpredictable this month on the east coast, but what is entirely predictable is that the month of May will be followed by the month of June, and June is high-water month for weddings in the US. I have two on my June calendar. In my lifetime, the American wedding has changed almost beyond recognition. 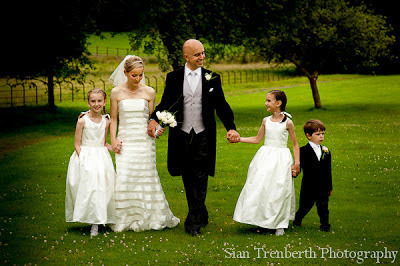 When I was a child, weddings were considered a grown-up affair and children were not invited. Then, when I was old enough to attend, the wedding ceremony (usually in a church) was open to the public, but the reception was an intimate affair reserved for family and a few close friends. The bride and groom usually began their lives together in a tiny apartment furnished with hand-me-down bits and pieces they were thrilled to get. As the young couple moved up the financial ladder, they, in turn, passed their hand-me-down pieces along to family and friends; and so it went. 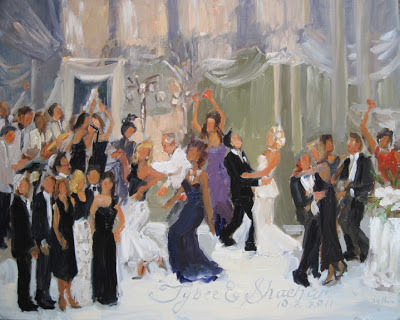 Today, weddings and receptions are lavish affairs to which the immediate world is invited. Often, many of the guests are friends or business associates of the parents and may never even have met either the bride or the groom. and be living in their dream house. Clearly, a cappuccino maker as a wedding gift won’t do the trick. They probably each had one when they moved in together, kept the most expensive one and donated the other to a cappuccino-deprived relative. So, what do you get the bride who has everything? Nothing? Sorry, not an option. This is where the wedding registry comes in handy. 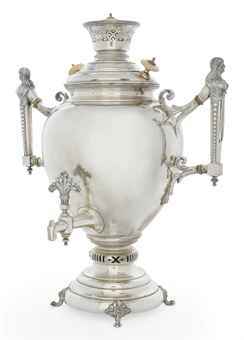 But, does she really want that antique Russian silver samovar from Christie’s that costs more than your first house? How often do you think THAT will get used? Don’t get me wrong; I do use the wedding registry when appropriate, but I think there is something delightful to be said for that element of surprise…the unexpected gift that wasn’t on the “official” list. 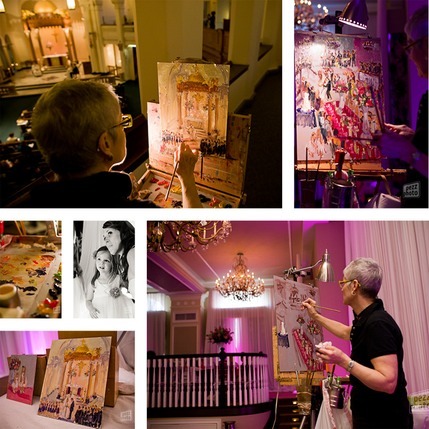 What about hiring a live-event artist to immortalize their special day on canvas? It’s a brilliant idea for a gift that will truly bring joy to bride and groom for years to come, long after the tarnished silver samovar lies forgotten in the attic. Philadephia painter, Joan Zylkin, is just such a live-event artist. Following an international career in Civil Service, Journalism and Fashion, this Renaissance woman from Great Britain, found her true calling as an artist after enrolling at the Pennsylvania Academy of the Fine Arts in Philadelphia. 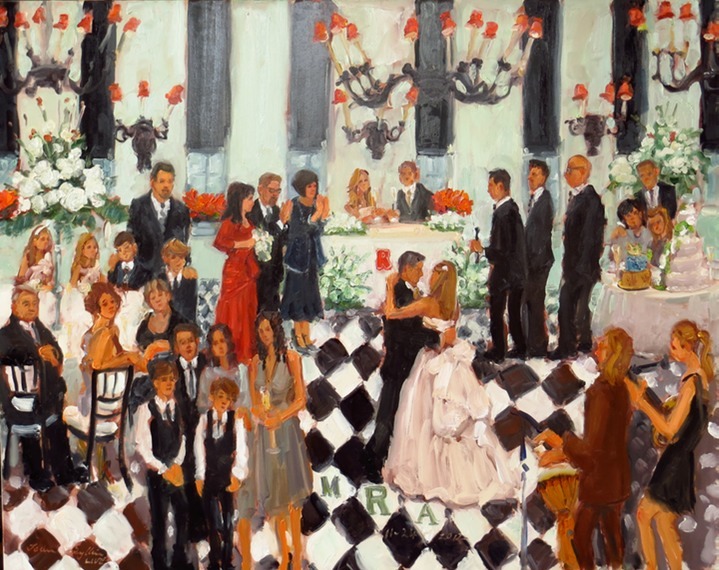 When not painting portraits and still lifes in her center city studio, Joan can be found somewhere in the US working her magic at weddings, bar/bat mitzvahs, fund raisers and every sort of venue that celebrates the special moments of life. Joan arrives several hours before the event, sets up her easel, arranges her pots of paint and with quick, masterful strokes, she captures the excitement, the colors and the ambiance of the event as seen through the eye of a gifted artist. Here’s a time-lapse video of Joan at work. For more information on this exceptional artist, go to her website or contact her directly at joan@theeventpainter.com. Now, aren’t you glad you decided against that silver samovar? 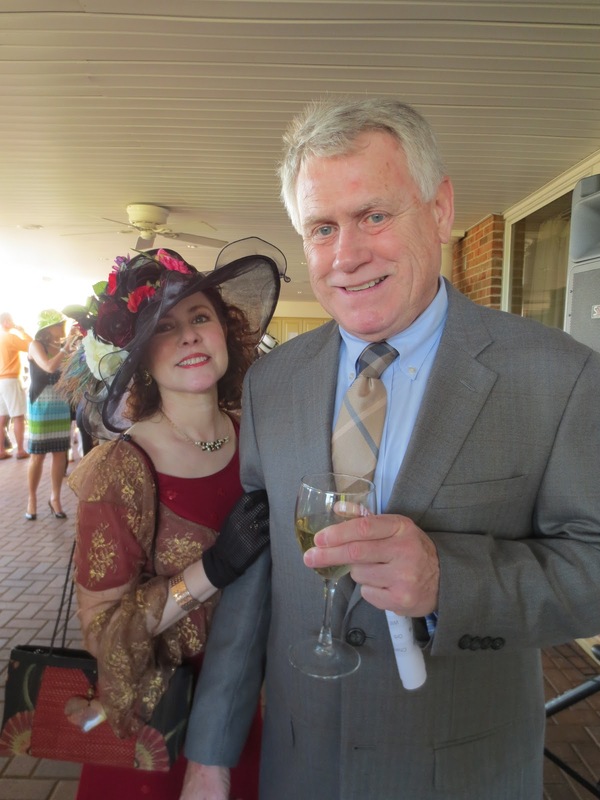 Last Saturday, May 4th, saw the 139th Run for the Roses at Churchill Downs in Louisville, Kentucky. The Kentucky Derby takes place every year on the first Saturday in May. 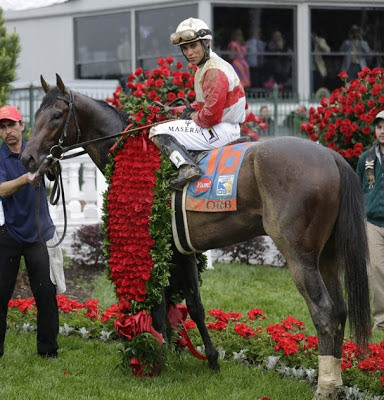 The race for three-year-old geldings and fillies lasts all of two minutes, and the winner is covered in a lush blanket of 564 red roses. It is the first jewel of the Triple Crown, followed by the Preakness Stakes and the Belmont Stakes. The run up to the Run for the Roses begins weeks ahead of time in one long series of parties and preparation for everyone in or connected to the beau monde of the racing world. 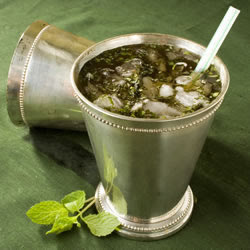 Bartenders prepare their ingredients for the official Kentucky Derby cocktail, the Mint Julep, made with simple sugar, water, muddled mint leaves, Kentucky bourbon, fresh mint leaves for garnish, all served up in the traditional frosted silver goblet. Ladies put the finishing touches on their hats for the big day. 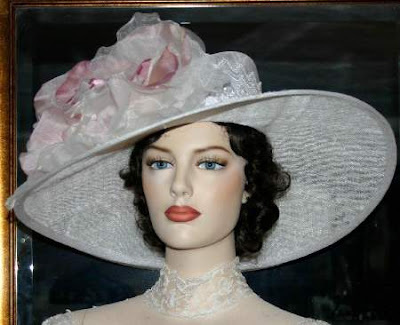 The tradition of wearing exquisite, dare I say extravagant, hats to the Kentucky Derby began in 1875. It is a tradition that traces its roots to the dress code of the Royal Ascot in Britain. For some, the thrill of watching the endless parade of fabulous headgear rivals the fleeting thrill of the race itself. I count myself among them. Rumor has it that the right Derby hat can make or break a Lady’s social standing for the rest of the year. 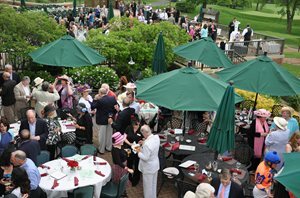 For those who can’t make it to Churchill Downs on the first Saturday in May, there are thousands of private venues across the country where you can place your bets, sip your Mint Juleps and wear your extravagant hats while watching the race on big screen TVs. It’s almost like being there. 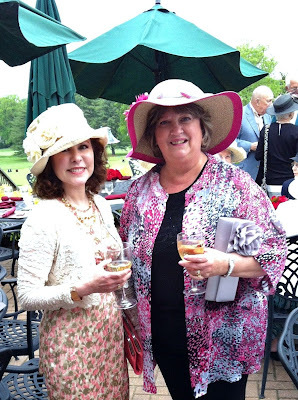 For the second year, Tavistock Country Club in Haddonfield, New Jersey, threw a fabulous Derby Day party, replete with betting stations, Dixieland Band, Mint Juleps (among other yummy cocktails) big screen TVs to watch the race and, of course, lots of lovely ladies in beautiful hats. 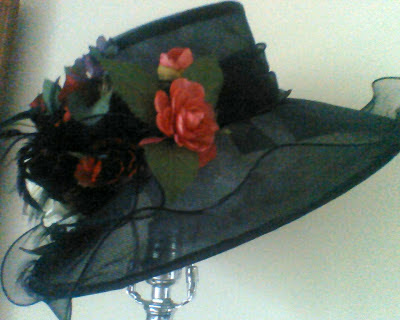 Last year, I wore a modest little cloche, to which I added some fabric flowers in the same shade. It was very sweet, but definitely an also-ran. 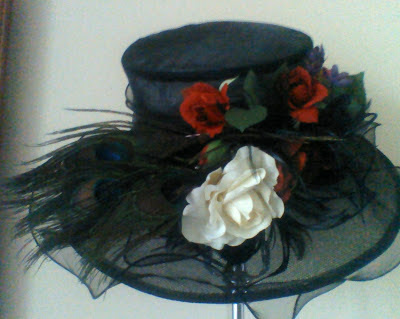 So, I bought a black organza picture hat at Macy’s and had some fun. 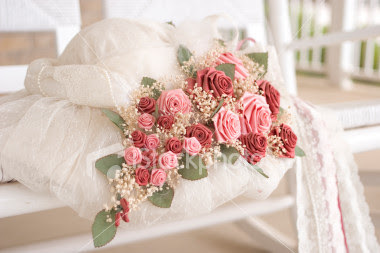 I added some red roses, pink flowers and a tiny sprig of lilac in the front……………. And a large white flower and peacock feathers to the side. I named her Olivia. Olivia was now ready for the Derby. Wasn’t this how Coco Chanel got started – designing hats? The rest of my outfit was designed around Olivia. Derby Day in Haddonfield dawned bright and sunny, which is more than could be said for Louisville, and Olivia was champing at the bit to get to the starting gate. The competition was pretty stiff, particularly from my friend, Patti. Patti works as a mild-mannered bridal consultant by day, but by night, she designs incredible costumes for local theatrical companies. 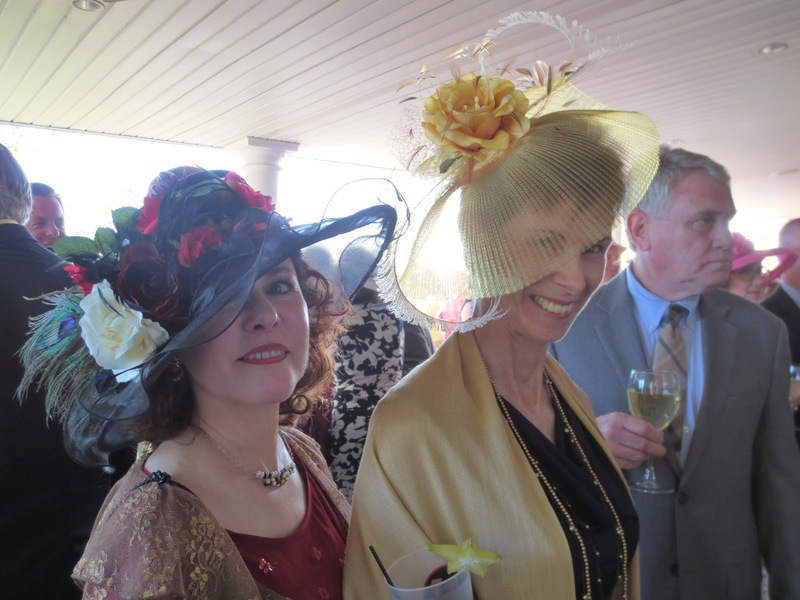 She created this hat from a piece of yellow crinoline. Frankly, had I been on the Hat Committee, she would have gotten my vote. 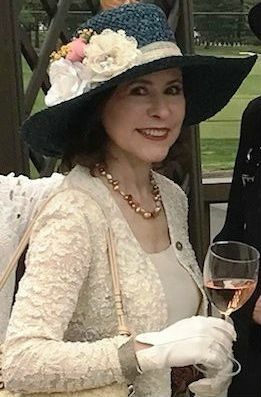 Here’s my lovely goddaughter, Vicki, in a white plumed hat. Doesn’t she look adorable? 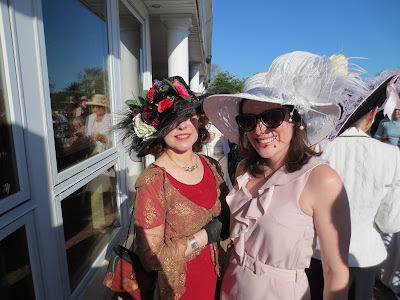 She was the official/unofficial photographer of what Olivia and I hoped would be our millinery triumph. Merci beaucoup, ma chère filleule. It was neck-and-neck there for a while, but at the last moment Olivia pulled out in front and, in a Photo Finish, the title of “Most Dramatic Hat” at the 2013 Tavistock Derby Day Fête went to Olivia. I was so proud of her. 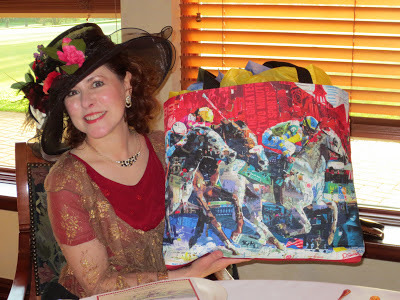 The racetrack dust has already settled, and I will retire the champ to a cozy hatbox at the top of my bedroom closet. Soon, it will be time to get another chapeau into shape for the 140th Run for the Roses; but, for now, Olivia and I are taking a much-deserved victory lap. 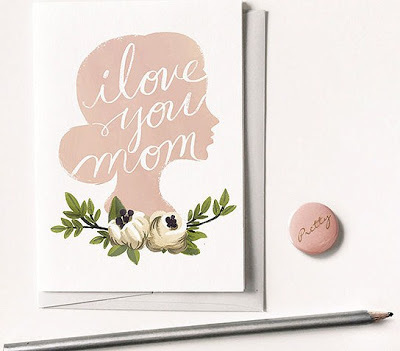 Remember when you made your own Mother’s Day card in first grade? You folded a piece of pink construction paper and wrote “I LOVE YOU, MOM” in big, red crayon letters. She still has it in a special drawer in her bedroom with all the special cards you’ve sent her over the years. The Mother-Daughter relationship is a very special one – (e)specially complicated and (e)specially difficult to explain. But, on this special day we forget how she often drove us crazy and remember how she always drove us to ballet class, piano lessons, choir practice and everywhere else we needed to go, without a word of complaint (well….not very often). This Mothers Day you will probably select a beautiful card that expresses your feelings. The days of home-made, construction paper cards are long behind you. The card is the easy part; it’s the gift part that often drives us crazy. Every year you struggle to come up with something new and unique. Instead of a hand-made card, how about some hand-made soap? Mom will love this beautiful bar of LIilac Rose soap ($5.50) from DeShawnMarie, and so will her skin. 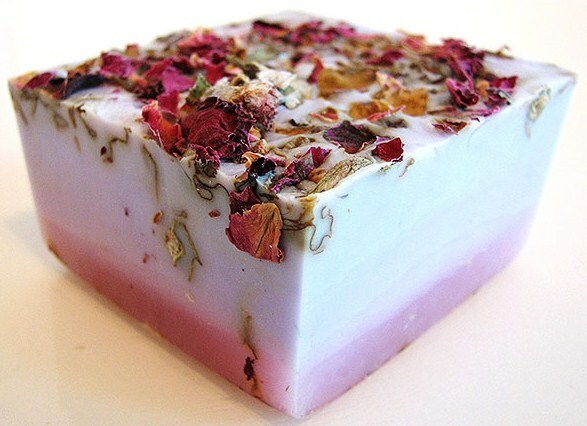 Made with coconut milk, lilac and rose it is not only soft and soothing, but the rose petals are a perfect, natural exfoliant. And it smells like a spring garden after a gentle rain. Delicious! 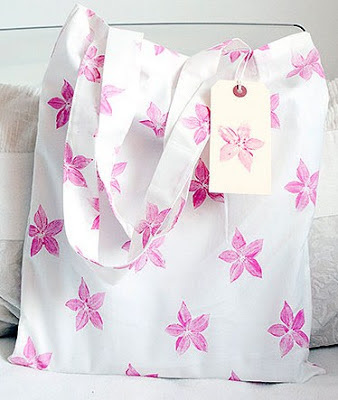 Speaking of spring, wouldn’t Mom just love this 100% cotton canvas Tote ($40.00) in a hand-printed Spring Floral design? Czech-Canadian artist Kim Legler adds her own special touch to every-day textiles to make them truly unique. Mom will love taking this Tote shopping or filling it with books and magazines and setting it beside her favorite reading chair for some cozy alone-time with her favorite novel and cup of tea. 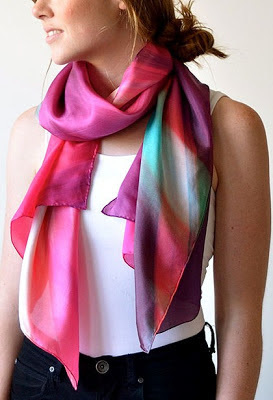 And, of course, you can never go wrong with a beautiful scarf. Can we ever have too many? I think not. This digitally printed scarf ($100.00) from Australian-based SqueakDesign is 100% silk with a hand-rolled hem. What Mom doesn’t love pink…….especially with a dash of teal and black thrown in to shake things up a bit? Still not special enough? Well, let’s see. Aha! I’ve got it!! Every month, Le Paradis Latin, a cabaret in Paris’s trendy 5th arrondissement, offers a Cancan workshop. The 90-minute workshop will have Mom kicking up her heels, not to mention showing her petticoats, as she learns to kick, twirl and rustle her skirts like the cheekiest of Belle Epoque Cancan dancers. Oh la la!!! And here’s a little sample of what Mom will learn to do. The next time Mom meets the girls for lunch, she can say, “I Cancan, can you?” Oh la la!! And so, another chapter in the ongoing battle between man and machine has come to a close. 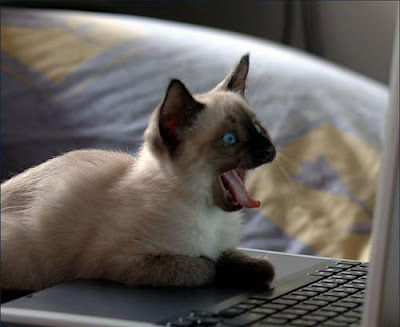 Yes, dear Readers, I have been dealing with some rather hairy computer issues over the last two weeks. I emerge bloodied but unbowed and ready to Blog anew. While I was away, spring made her appearance. 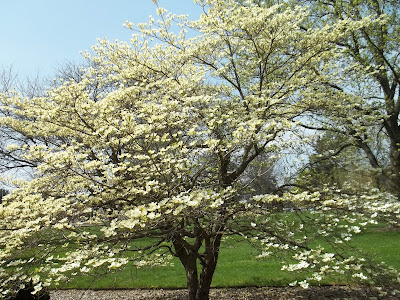 First, my white dogwood burst into life. 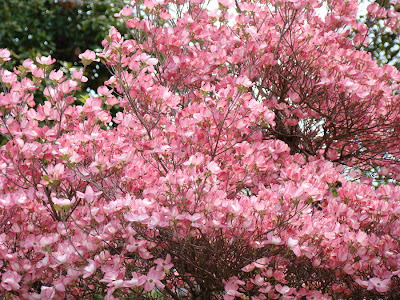 And, not to be outdone, my neighbor’s pink dogwood decided to strut her stuff the following day. 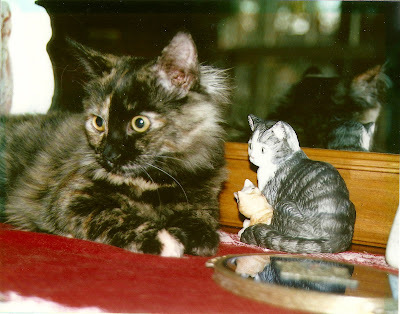 Then, Cecilia, my tortie, started sneezing…..always a sure sign that spring has sprung. The following day, I started sneezing. Hello spring. Achooooo to you, too! As if there were any doubt that spring was upon us, last Saturday marked the end of the Metropolitan Opera season for me. The final opera on my subscription series was Giulio Cesare by Handel, a beautiful farewell to what has been a fascinating season. It was a year of hits, mega-hits and a few notable misses. I wouldn’t have missed it for the world. 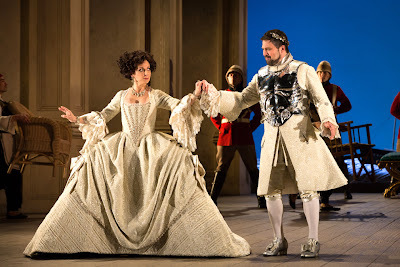 The end of opera season always leaves me feeling a bit nostalgic. We had dinner the night before the performance at one of our favorite restaurants, Abboccato, on 55th street, right across from the City Center. The City Center, with its magnificent Moorish façade, is a New York landmark. 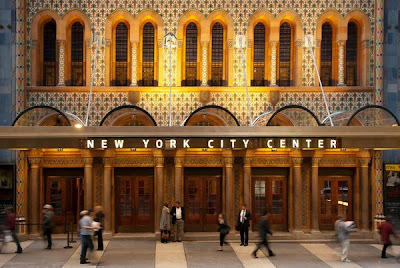 But for me, the City Center will always be the original home of the New York CityOpera. 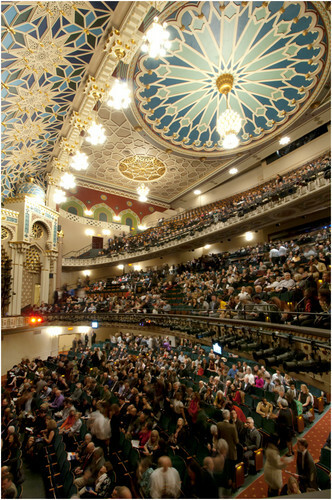 Dubbed “the people’s opera” by Mayor Fiorello La Guardia, New York’s newest opera company opened its doors in 1943. Its goal was to find and nurture the best young singers from here and abroad and give them the opportunity to go from good to great. And for years, they gave the Met a real run for their money. We have the New York City Opera to thank for helping to hone the skills of some of the world’s greatest singing artists. 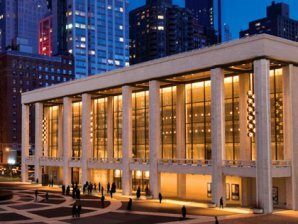 In 1965, the New York City Opera Company moved to the New York State Theater (now the David H. Koch Theater) right next to the Metropolitan Opera Theater at Lincoln Center. Thus began a friendly/not-so-friendly rivalry. Sadly, due to financial difficulties, City Opera left Lincoln Center in 2011 and has been more or less an itinerant opera company ever since. 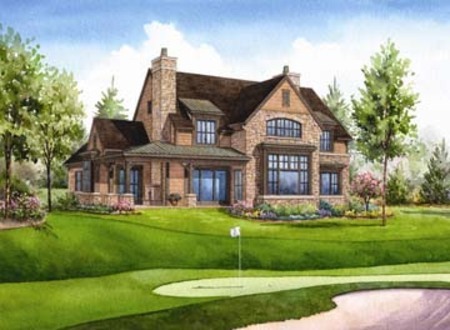 Rumor has it, however, that they may soon be coming home. Can it be that the New York City Opera will once again call City Center their home? Stay tuned. So, who were some of these great singing artists who honed their skills at the New York City Opera? 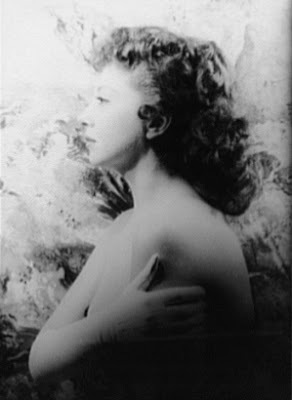 Beverly Sills (née Belle Silverman), the magnificent, all-American beauty, both vocally and personally, was a huge star at the New York City Opera and a regular guest on TV shows long before she ever set foot on the Met’s stage. Sills was a national treasure, who worked tirelessly for the arts and young artists long after she stopped performing. 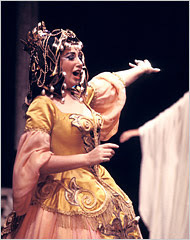 Her death in 2007 was a huge loss to the opera world. One afternoon many years ago, my brother, then a young voice student at the Curtis Institute, saw Ms. Sills standing under a poster of herself in the seductive role of Cleopatra outside the Academy of Music in Philadelphia. Somehow, he found the courage to approach her and said, “You know, Miss Sills, that picture doesn’t begin to do you justice.” Clever boy! 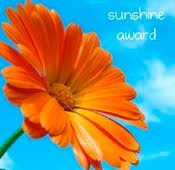 She gave him the most dazzling smile, and when she discovered he was a singer, too, she took the time to give him some valuable advice and some great tips on technique, which he never forgot. 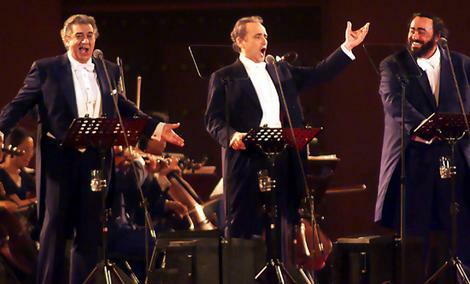 And did you know that two of the “Three Tenors” got their start at the New York City Opera? Do you recognize this handsome young man? It didn’t take him long to move next door to the Met. Three years later he jumped in for an ailing Franco Correlli and the rest, as they say, is operatic history. 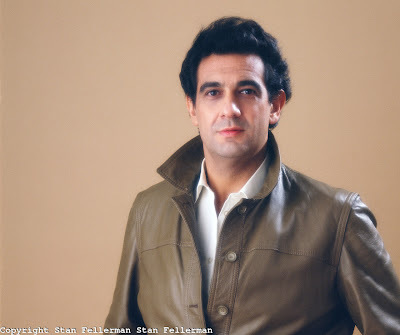 Domingo is still singing at the Met and, by the way, is still just as handsome. 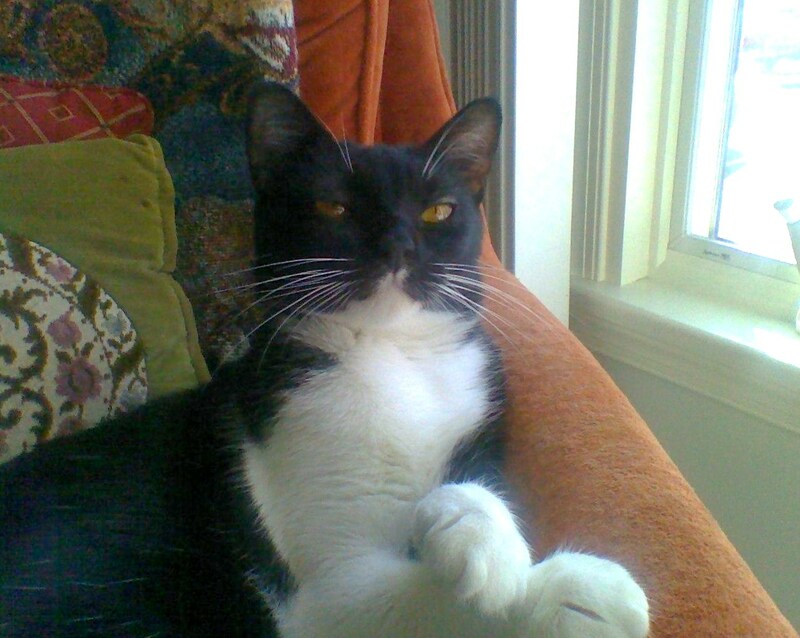 And how about this gorgeous young man? Recognize him? 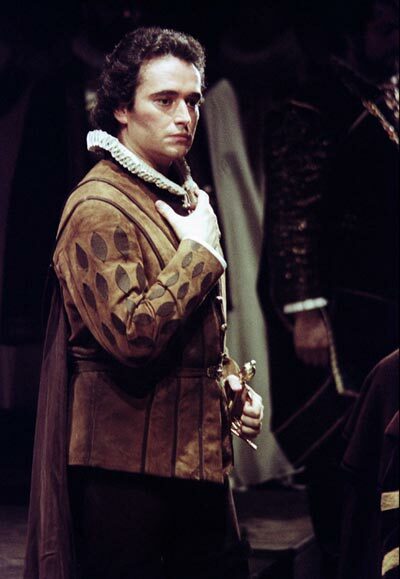 Spanish tenor José Carreras (né Josep Maria Carreras i Coll in Catalán) had feminine hearts aflutter when he made his American debut at City Opera in the same role of B.F. Pinkerton in 1972. Only two years later, he made his Met debut in the role of Cavaradossi, the painter/political activist, who woos and wins the beautiful soprano in Tosca. I had the privilege of being in the audience. I’ll never forget it. He was pure electricity. Here he sings Cavaradossi’s final aria moments before his execution. After asking his jailer if he may write a farewell letter to the woman he loves, he stands alone on stage and sings of his love for life and for the woman he will leave behind. You can almost see him take her in his arms and make love to her one last time in this beautiful, bitter-sweet aria. So, once again, it’s time to say farewell to the Metropolitan Opera, to the Venetian crystal chandeliers, the great gold curtain and to my red velvet chair.